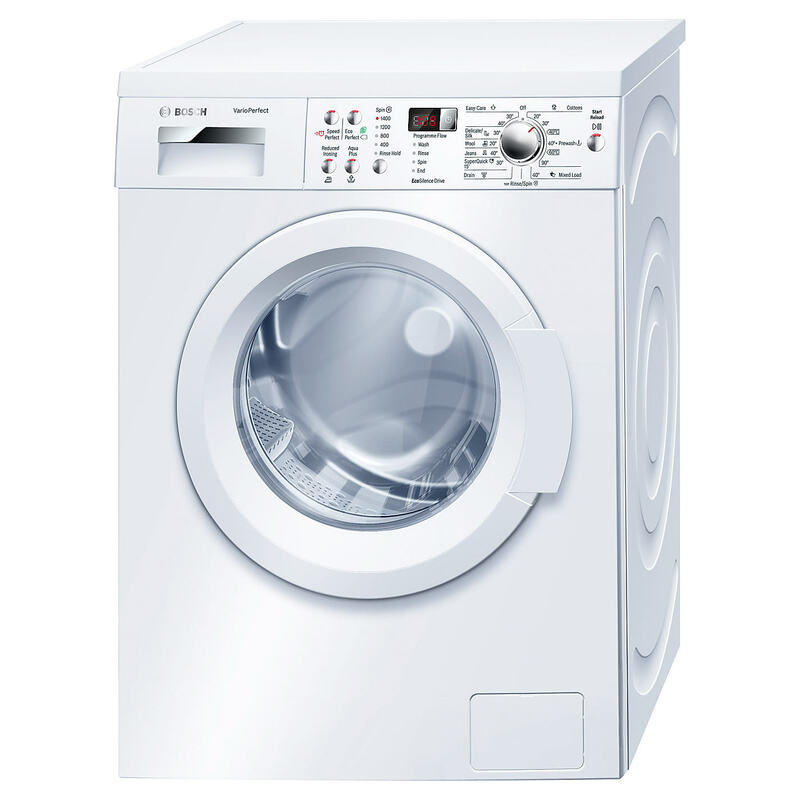 We have some great offers on new washing machines in stock for Liverpool, Merseyside. 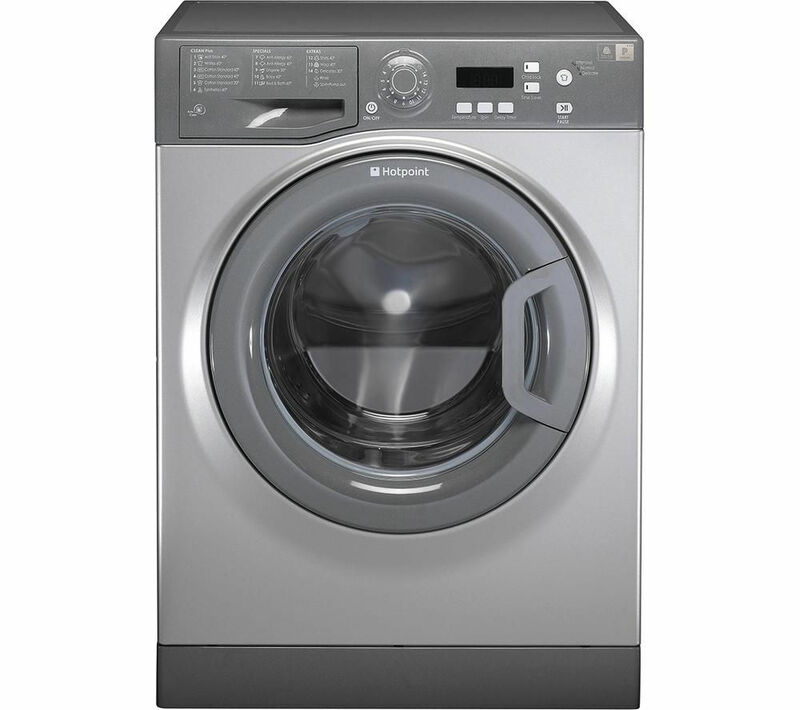 We stock Hotpoint washing machines, Hoover washing machines, Candy washing machines, Bosch washing machines, Beko washing machines and White Knight tumble dryers among others. 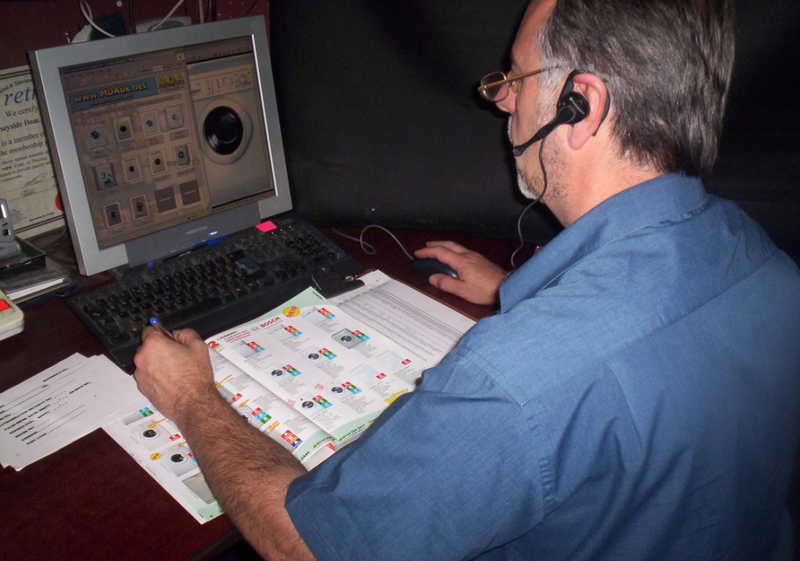 We offer same day delivery and fitting and removal and disposal of your old machine! 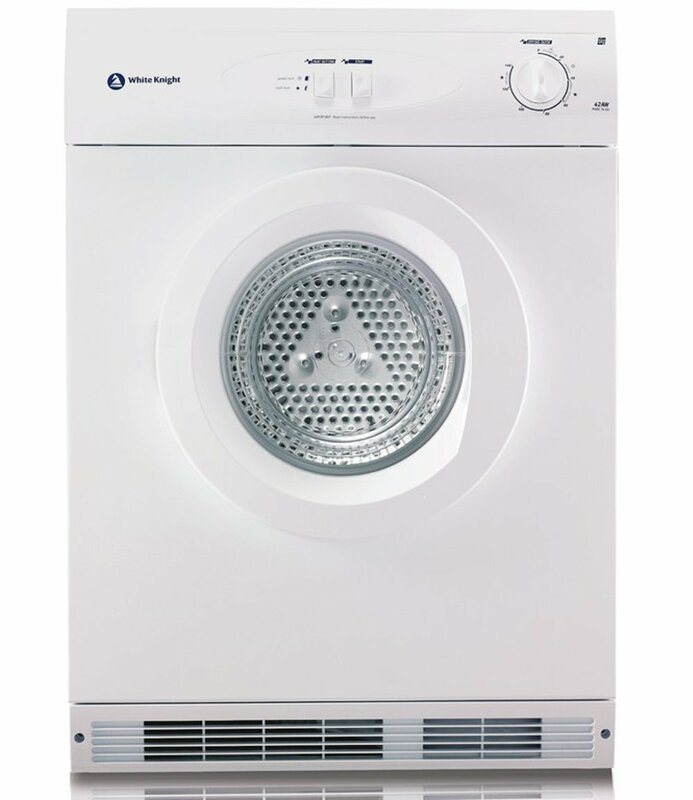 With a generous 7kg capacity, the TVM 570 P (UK) Aquarius Vented Tumble Dryer is ideal for any household. For an easy and effective way to keep your garments fresh this Hotpoint freestanding dryer features a useful reverse-action drying to avoid tangling. Additional info: We are so confident in our products we offer a 10 year guarantee on all parts. The Hotpoint TVFS 83C GG (UK) Freestanding Vented Tumble Dryer comes in a stylish graphite finish to complement any setting and features an 8kg drum capacity. Additional info: Features include the Fibre Care option, which has been specially designed for delicate clothes and automatically adjusts settings so that the lowest temperature is being used for a longer duration to ensure a thorough but gentle dry, Anti-Tangle technology, which uses a reverse tumble action to ensure that your clothes dry evenly and without tangling together to keep them looking better for longer, and our Anti-Ageing technology, which utilises an innovative wave drum design to lift clothes softly on a cushion of air to help maintain their natural softness and colour. This appliance also includes our Purse Filter, which has a simple design making it easy to remove and empty without getting covered in fluff! 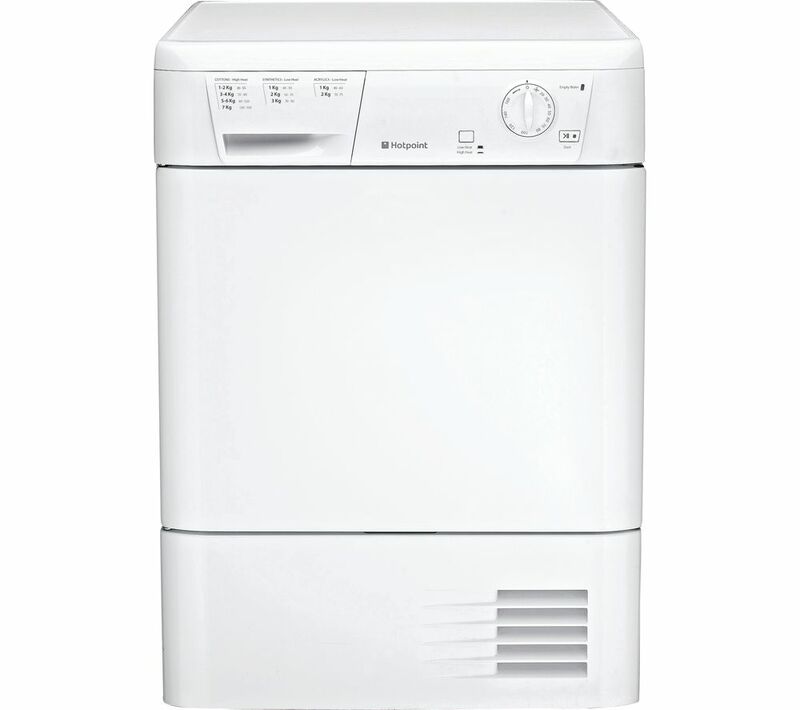 Indesit DIF 04B1 59.5 cm Fully Integrated Dishwasher - White - Only £280! 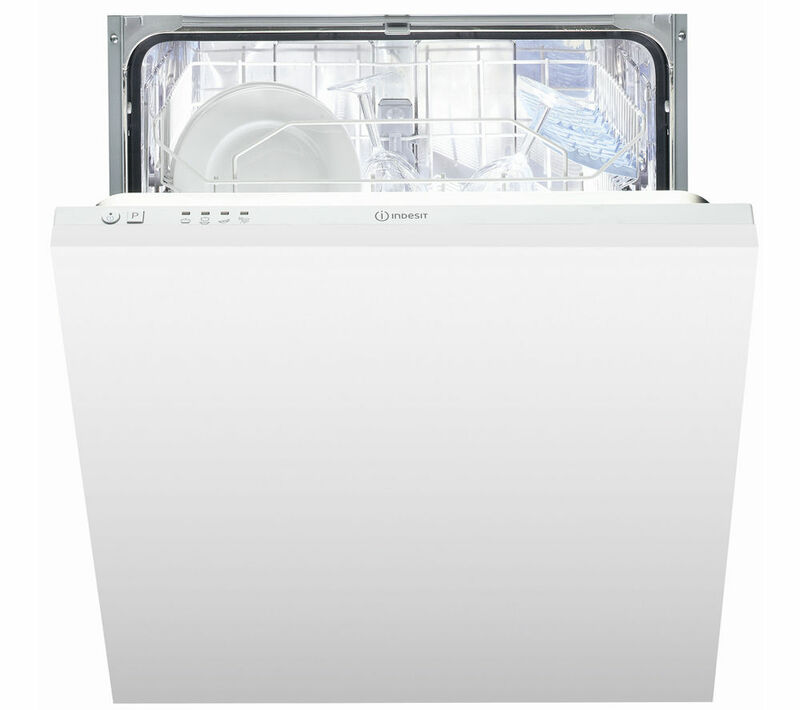 Product info: The Indesit DIF04B1 Full-size Integrated Dishwasher can take care of the hard work as it features adjustable racking, a range of handy programmes and boasts an impressive A+ energy efficiency rating. Perfect programming. No matter what you need to clean, the large 13 place setting capacity of the DIF04B1 means you'll have plenty of space to load your dishwasher with plates and cutlery. You'll be able to keep energy and water consumption low thanks to the Eco cycle, which provides fantastic results whilst reducing consumption - it's great news for your energy bills as well as the environment. When you've got tough dirt that needs to be removed, the Intensive mode offers higher performance washing to help to remove even the most stubborn marks and food debris. There's also a pre-wash feature that runs a preliminary wash to help to remove tougher stains from your items. Adjustable design. With adjustable upper and lower racking, you'll be able to adjust the upper and lower racks to easily arrange pots, pans and plates within the DIF04-B1. Cutlery is easily stored in the cutlery basket whilst it is being washed. The natural drying system dries your plates effectively. Flood-free. If the worst happens, you won't need to worry about your kitchen being flooded - the anti-flooding protection blocks the water supply and prevents leaks, so you can be sure your kitchen will be protected. With a superb A+ energy rating that means your energy consumption stays low, the Indesit DIF04B1 Full-size Integrated Dishwasher is ideal for any built-in kitchen. The Hotpoint WMAQF721G Aquarius has a range of cycles tailor made for what you wear, ensuring that your clothes are in good hands. Considering your needs: Awarded the Allergy UK Seal of Approval, the anti-allergy programme uses high temperature technology as well as extra rinses to neutralise and remove 99.9% of major allergens such as dust mites and pollen. Allergens are a huge discomfort and the WMAQF721G Aquarius helps to keep them away. The WMAQF721G Aquarius features Woolmark Platinum. The delicate wash programme keeps your clothes like new, using extra gentle drum action and low spin speeds to stop clothes rubbing together, keeping them beautiful for longer. Suits your schedule and your laundry. Do your washing when you want to and how you want to, with Hotpoint's intelligent features. With the 24 hour time delay you can schedule the laundry around your life, or take advantage of lower evening energy prices. The Bed & Bath cycle washes bed linen and towels in one go, optimising softener performance and saving you time and energy. By cleverly managing detergent, water, drum rotation and temperature, Hotpoint's anti-stain technology removes 20 of the most stubborn every day stains in one wash, without pre-soaking. The dedicated delicates cycles are designed specifically for lighter, softer clothing, so the quality of materials doesn't suffer. Feel confident knowing the quality of your clothes won't deteriorate when using the Hotpoint WMAQF721G Aquarius Washing Machine. Product Info. 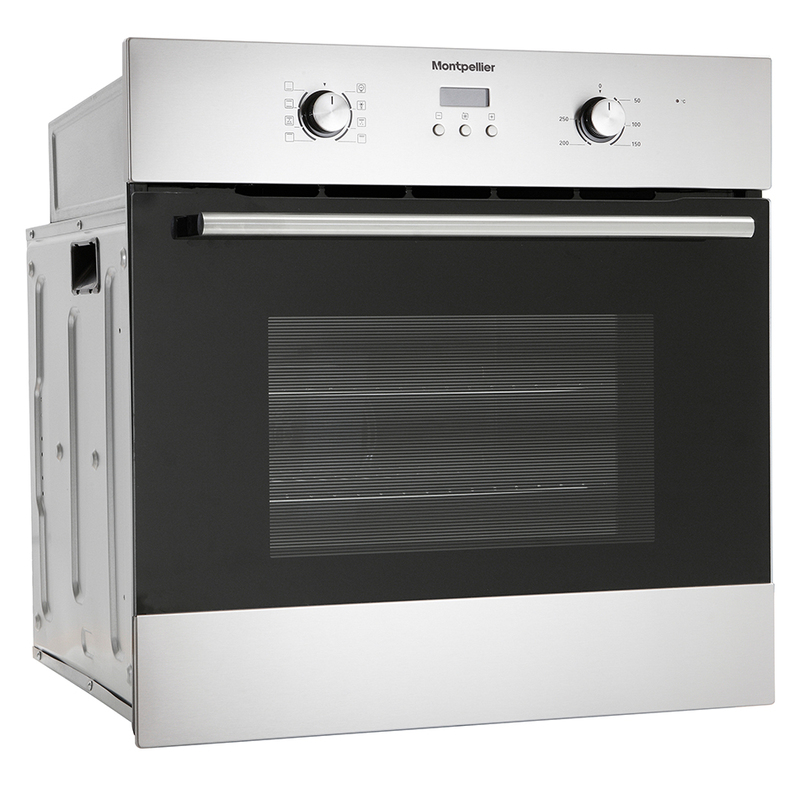 Bring style and elegance to your kitchen with the Bosch Classixx HBA13B160B Electric Oven. Excellent cooking features. The HBA-13B160B has 4 oven functions, including 3D hot air and hot air grilling which circulates the air all around the oven for optimimum cooking, so it is really easy to cook meals for your family. There's an LED programmable timer that lets you time your cooking to perfection, while the drop down door makes it easy to access your oven. Safety first. There's a control panel lock that stops little fingers from playing with the controls for the HBA13B160-B. The window glass is also heat reflective, helping to trap heat inside the oven. 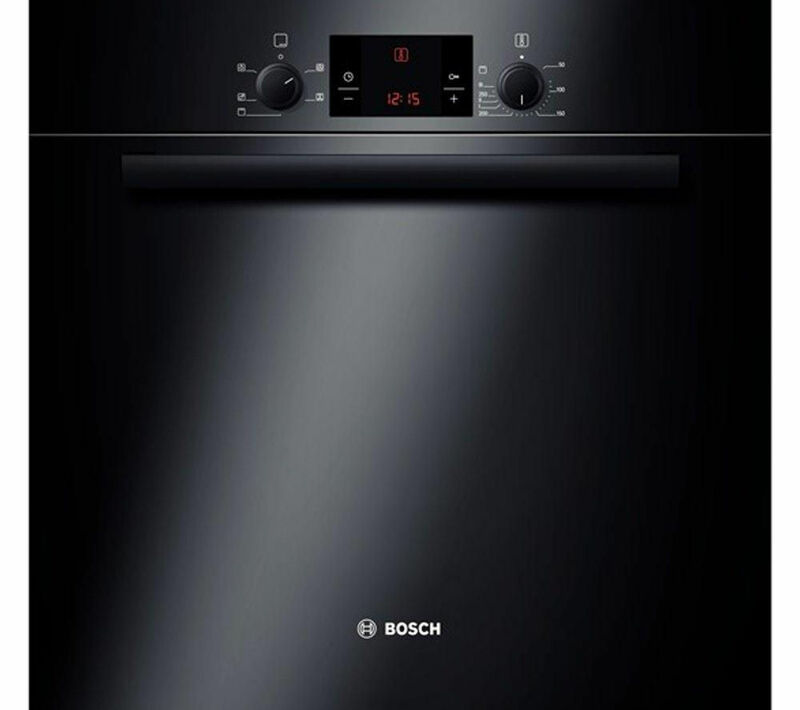 With an A energy efficiency rating for up to 20% less energy use, the Bosch Classixx HBA13B160B Electric Oven provides your perfect cooking solution. SpeedPerfect technology makes the WAB24161GB a far more efficient way to complete your laundry, speeding up your cycle by up to 65%. Great if you're in a rush, this handy feature lets you finish a cotton wash in under an hour without sacrificing results. Applicable to all programmes you can reduce the time it takes to run a cycle whenever you're rushed to get the same great results as a full length wash. ActiveWater. The WAB24161GB also features ActiveWater, an ingenious technology which makes sure you're only using the precise amount of water needed for each wash. Carefully measuring the exact requirements after factoring in the weight of your load and how dirty it is, the machine uses the exact amount of water, making washing far more efficient. Reduce unnecessary waste for a more environmentally considerate washing solution. LED display. 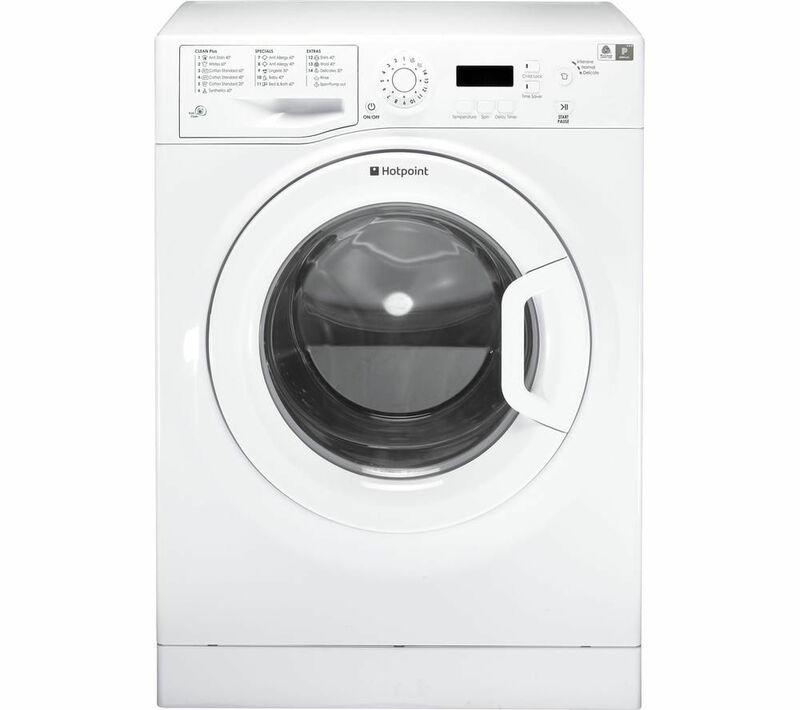 See exactly what's happening with the LED display that shows you how far into the programme the washing machine is and also keeps you informed on time remaining until the cycle finishes. The display can also be used to programme the useful 24 hour timer to let you select exactly when you want your wash to start. Schedule washes to finish as soon as you get home from work and reduce the time that your washing sits in the machine. Make short work of your laundry pile with this Bosch washing machine. This model has a 6kg drum capacity, so it’s the perfect size for small households. It has been rated the most efficient A+++ for energy efficiency – making it really economical to run, costing just £23.41 per year. Additional info: This model also gives you more control over wash cycles using VarioPerfect technology. This unique feature lets you fine tune the time and energy it uses to clean your clothes, so it can get through your laundry quicker and save you money on your bills. 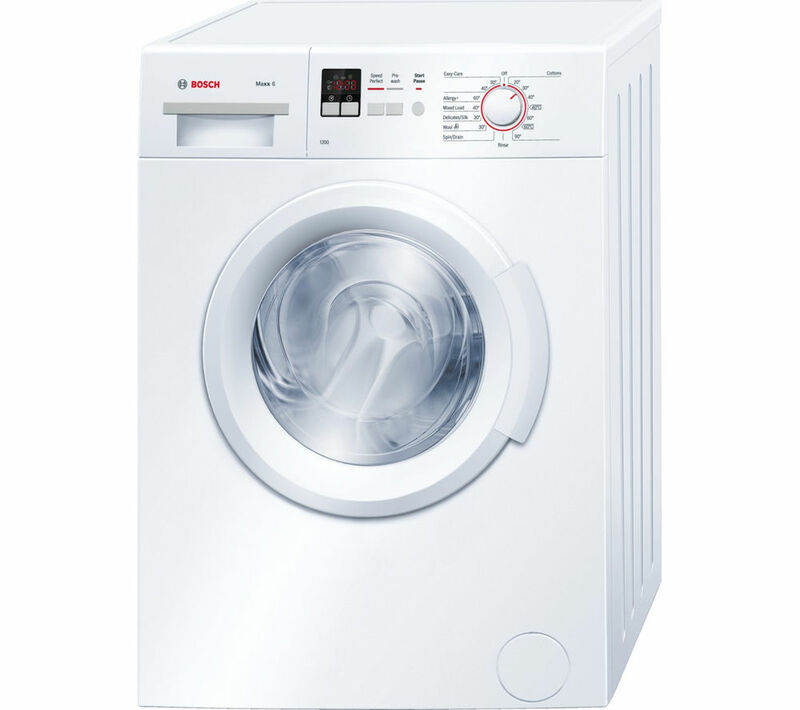 The Bosch Serie 4 WAN28000GB 7 kg washing machine will transform heaps of dirty clothes into clean and fresh laundry, quickly and easily. This appliance has a great energy efficiency rating and a wide range of programmes, so you’ll always get perfect results. This Bosch VarioPerfect washing machine boasts intelligent ActiveWater technology that uses the right amount of water for every load and never wastes a drop, ensuring the most efficient and economic appliance for your home. Resplendently coloured in a crisp, white finish, the WAQ283S1GB will fit in seamlessly in any modern or traditional household. This model also combines anti-vibration design with an excellent A+++ energy rating to give you an appliance that is efficient and very quiet, meaning you can make the most of off-peak energy costs. VarioPerfect: Achieves outstanding cleaning results for all types of textiles, and for all load sizes. Practically all programmes can be combined with the VarioPerfect ‘EcoPerfect’ option for more energy savings or with ‘SpeedPerfect’ for faster results. Reload function: Lets you add something to the wash if the water level in the drum is not too high - handy if you’ve dropped a sock on the stairs on the way to the machine. 3D AquaSpa wash system: A higher water level ensures more efficient wash results. Water enters from three sides for quick and effective water distribution. During the wash, laundry is showered from above through specially designed paddles, ensuring gentle washing and optimum usage of the water in the drum. Super fast: 15 minute wash for smaller loads when you need your clothes in a rush. One of the most time-consuming things about washing machine care is that pesky detergent draw which can so easily become clogged up with grime. This model has a self-cleaning draw, so you never have to worry. With an impressive A+++ energy efficiency rating and a stunning silver finish, the Bosch WAQ2836SGB Washing Machine is perfectly designed for any family kitchen. Reload: The clever Reload function lets you add or remove laundry mid-cycle – ideal if you've forgotten something or dropped a sock on the stairs. Pause the wash, release the door lock and add your item. Once Paused, the machine automatically checks the water level is low enough and adjusts if required, so you can safely add your clothing. Since the door can be opened fully, you're not limited to small items – so an extra pair of trousers or shirt can be cleaned if you really need them. Conveniently, the Reload function works with most cleaning programmes on your machine, and you can even activate it up to 89% into the wash cycle in certain cases. Programmed for perfection. The WAQ2836S-GB has a selection of 15 programmes, including a Woollens Hand Wash programme and a Delicates mode that's suited for silks, cottons and other materials that need a gentle wash. There's also a speedy Super Quick 15 programme which can wash 2 kg of lightly soiled laundry in as little as 30 minutes. This means that you'll be able to wash up to ten shirts ready for the working week. The latest technology. The VarioPerfect technology lets you choose how to alter your wash to suit your needs. You can speed the wash up by up to 65%, or reduce your energy consumption by up to 50% using this mode, whilst providing perfectly clean laundry time after time. The ActiveWater technology makes sure that only the perfect amount of water is used for each wash, so you can make sure your laundry chores are as efficient as possible. 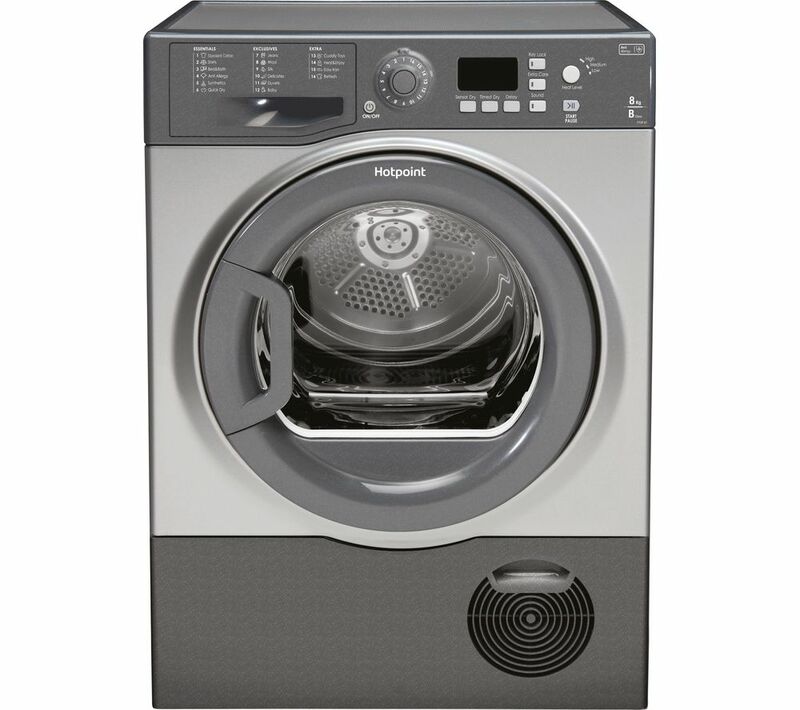 The combination of the Wave drum and EcoSilence drive helps to provide perfect washes for every load. 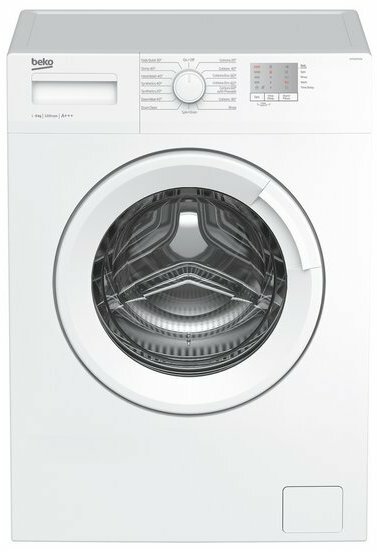 The WAQ2836S-GB has a unique drum structure for gentle washing, whilst the EcoSilence Drive is quiet, faster, durable and more efficient than other drives thanks to the brushless design, and even comes with a ten-year guarantee. AntiVibration design. The spiral design on the sides of the machine absorbs noise and stabilises it for a whisper quiet performance. Added features. The self-cleaning detergent drawer means you won't have to spend time cleaning it manually – a real time saver and great for hygiene. At the top of the facia is a clear display that lets you know the programme progress, time remaining and access the 24-hour time delay. 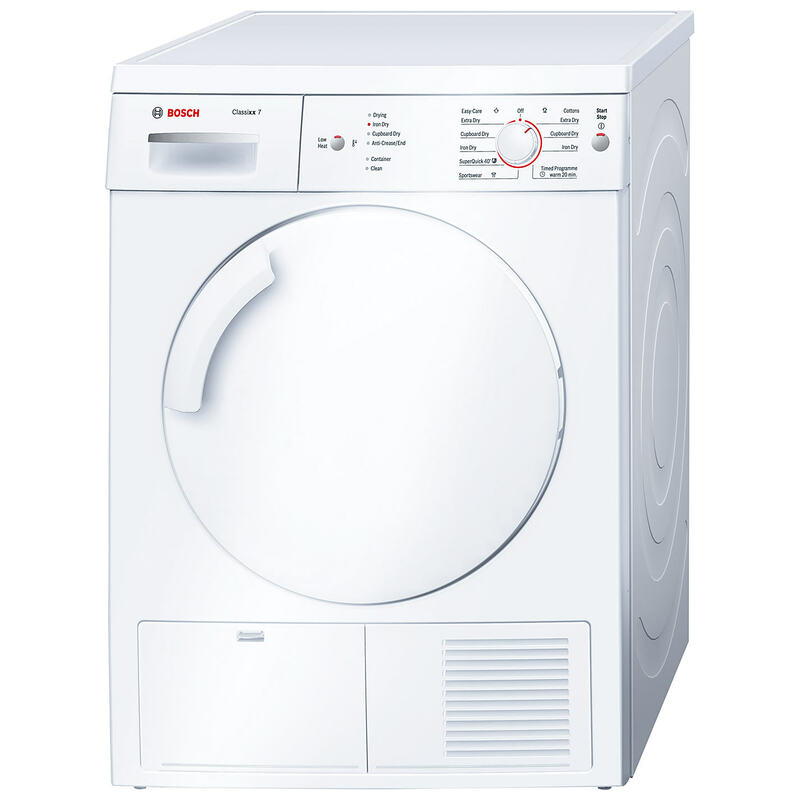 Additional info: The 9kg drum on this washing machine from Bosch means that it’s perfectly suited to the laundry needs of busy, medium sized households. With an A+++ energy rating, this model is super-efficient. It’s really kind to the environment and costs just £23.41 a year to run. There are a choice of 16 wash programmes, including a special Allergy + cycle. This is perfect if anyone in your home has allergies, asthma or sensitive skin – it uses high temperatures to remove dust and pollen and extra rinses to eliminate all traces of detergent. 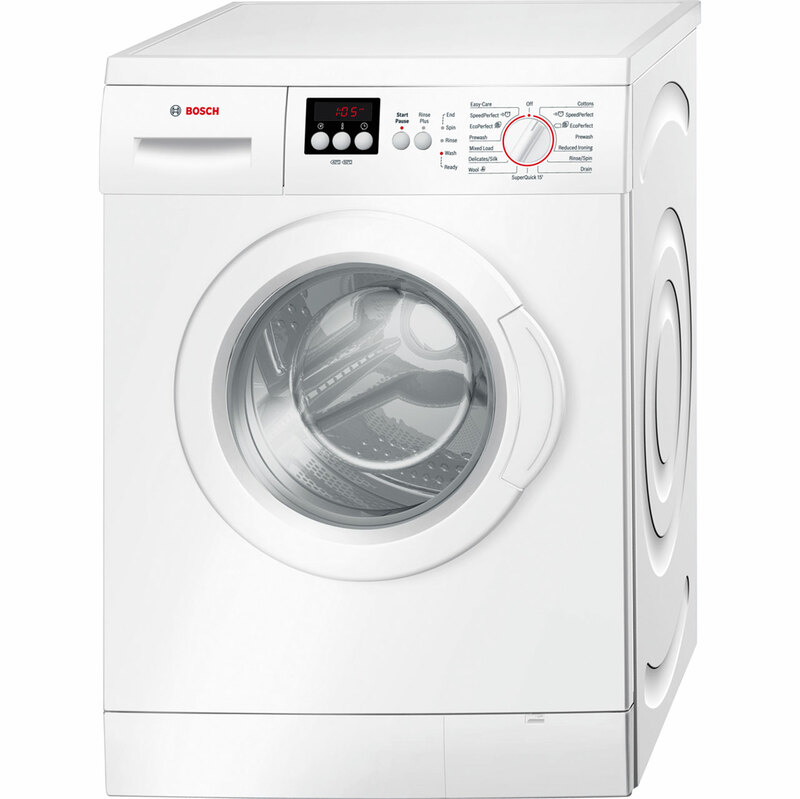 For convenient drying that cares for your clothes, the Bosch Classixx 7 WTE84106GB Tumble Dryer is the perfect choice. The Classixx 7 Dryer features the Sensitive Drying System, a handy solution to drying delicate materials that are prone to bobbling. Additional Info: Soft flow paddles and a unique drum design ensure your clothes are thoroughly dried but given the care they deserve. Family friendly. A 7 kg drum is perfect for any sized household and with simple to use touch controls and an electronic dial, anyone can benefit from the Classixx 7's excellent drying power. Get used to a more peaceful laundry day as Anti Vibration design gives greater stability and a lower running volume. With three special drying programmes; sportswear, super quick 20 and super quick 40, the Classixx 7 Dryer is sure to speed up your drying process, no matter your requirements. 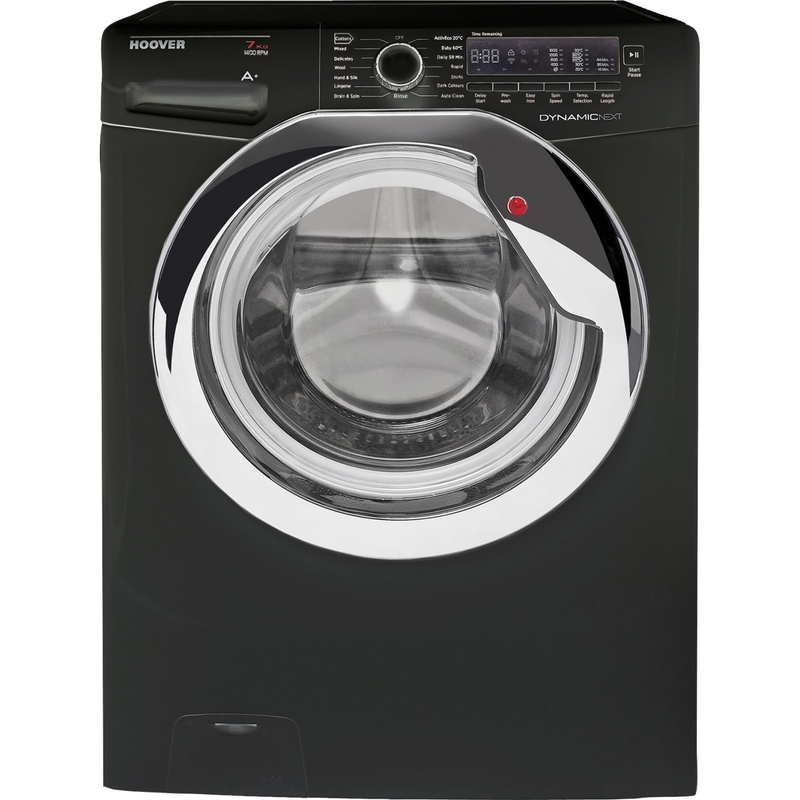 The Classixx 7 is energy efficient class B, making it cheaper to run than many other tumble dryers in its class. 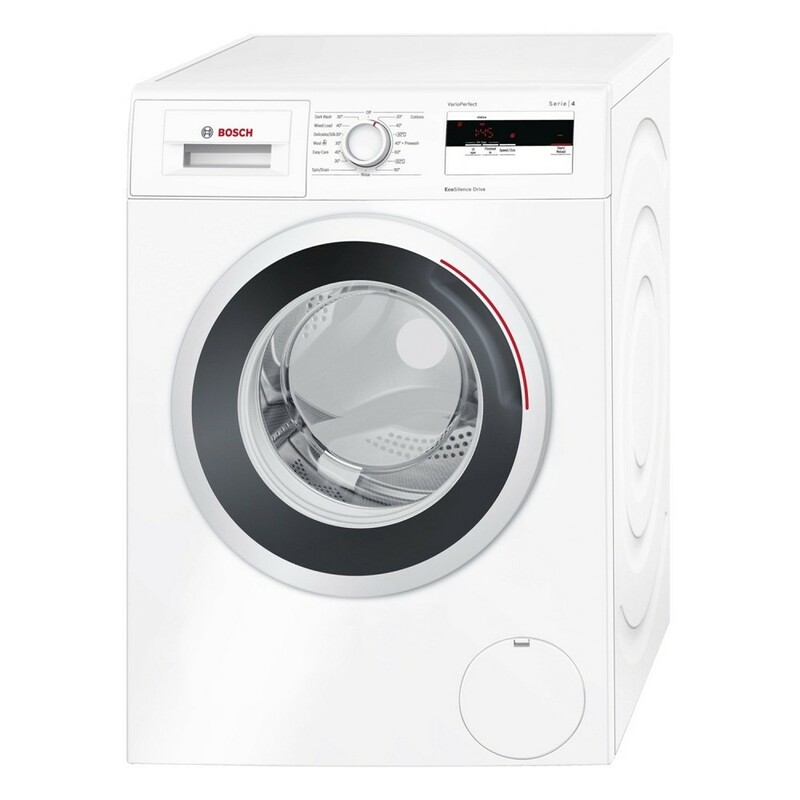 With simple and effective family clothes drying, the Bosch Classixx 7 WTE84106GB Tumble Dryer is certain to take the strain out of drying. Both have stylish chrome doors, completing the refined finish. A clear digital display helps you programme a cycle easily, and it’ll also count down the remaining time. That means you can leave the machine and get on with your day. 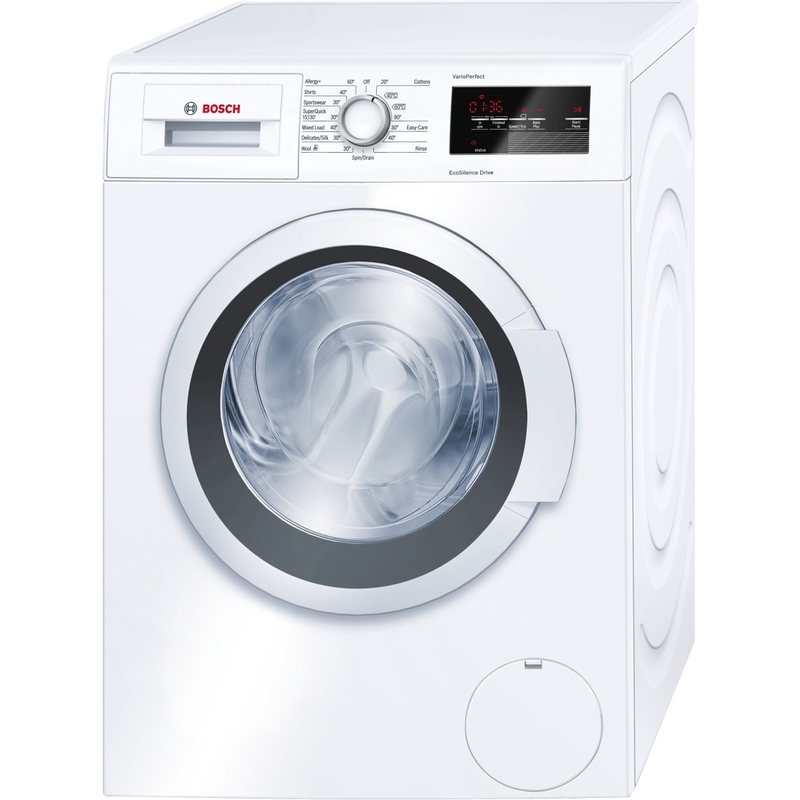 Additional info: This washing machine has a 7 kg drum - ideal for small to medium households. 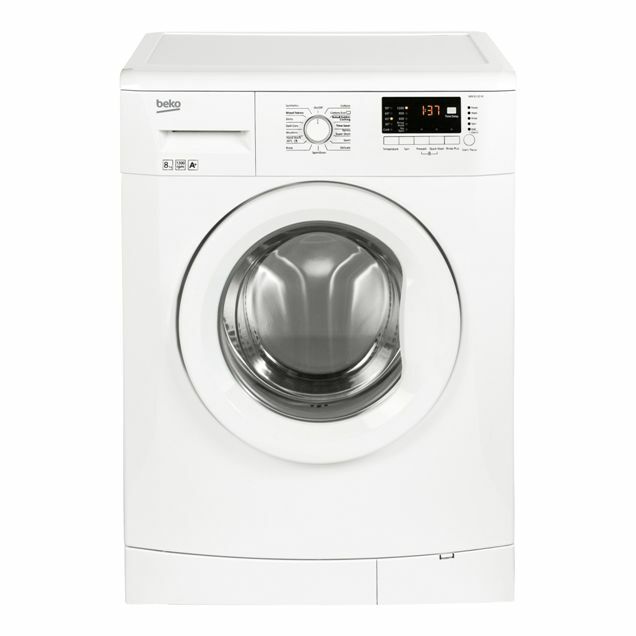 Enjoy the convenience of fitting in a wash without wasting energy by running it half empty. 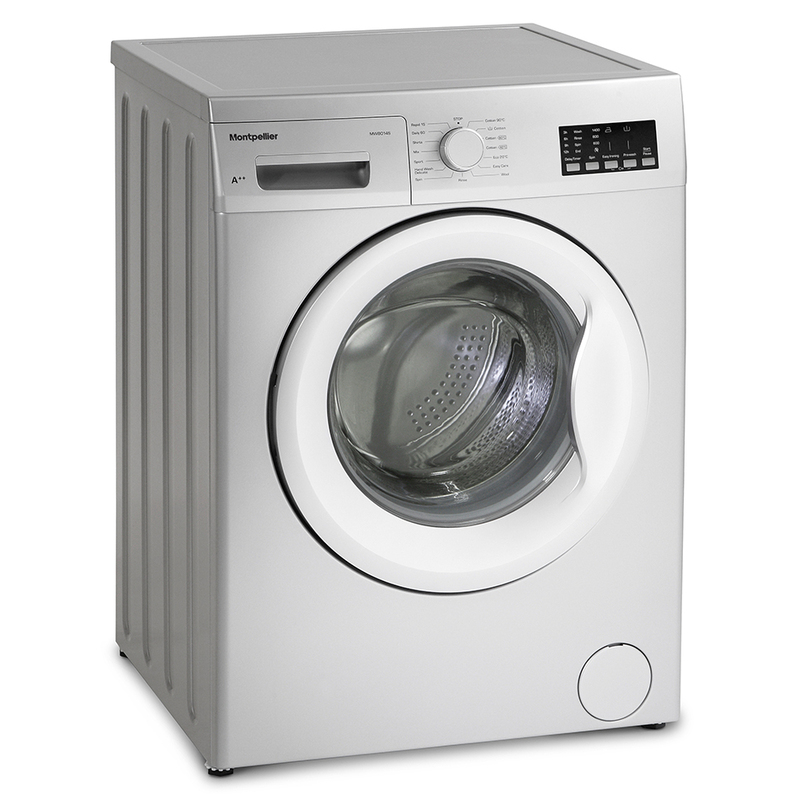 The 1400 rpm spin speed removes plenty of water, for clothes that dry more quickly. The large porthole is high on the front the machine, so loading and unloading is easier and less back-breaking. Smarter Laundry. An Intelligent Wash System sets this washing machine apart from the competition. This clever little feature will weigh the laundry during the first four minutes of a cycle and adjust the time, water and electricity consumption to suit. This is great news for the environment, and it will also save you money on those household bills. A delay start function means you can prepare a load and then choose to begin the wash up to 24 hours later. This option is ideal if you’re away for the day and don’t want wet clothes sitting in the drum while you’re out. Plenty of Programmes. Hoover have included a programme for every load. Care for your delicates with wool, sportswear, hand wash and cold settings. There’s an intensive programme for heavily soiled items, and a germ-busting hygiene mode. You’ll even find rapid 14, 30, 44 and 59 minute programmes. These take the stress out of those mornings where you just can’t find anything to wear. Outstanding flexibility means this White Knight condensing multifunction tumble dryer is more than just a functional addition to your home. 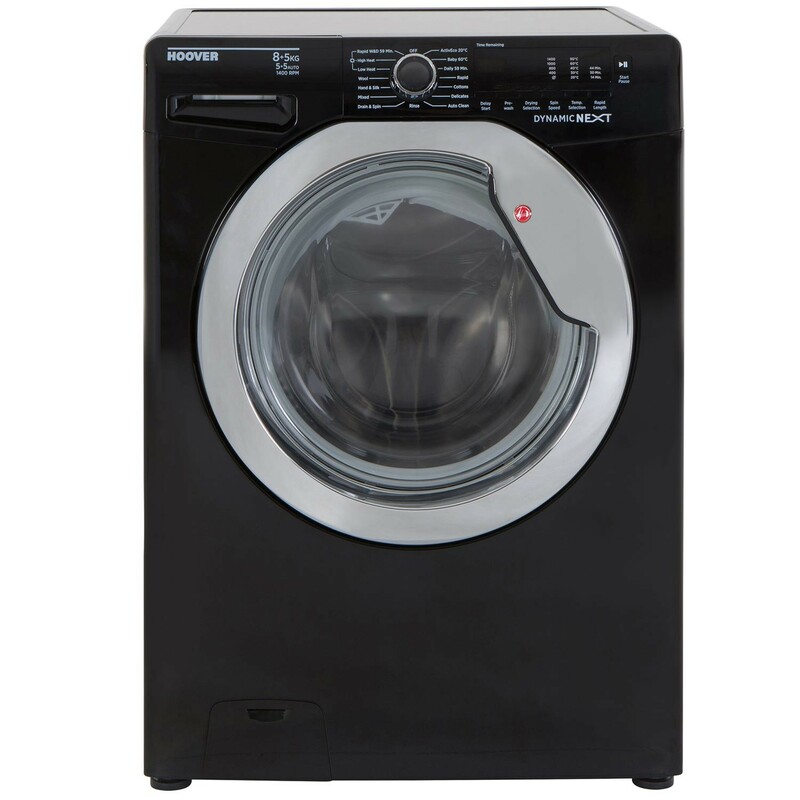 Featuring an LED display, delay start and 15 drying programmes this freestanding, top of the range model can handle your household’s drying needs with ease and boasts a huge 8kg load capacity (cottons) as well as 2 heat settings and anti-crease function. A top mounted drainage container and easy access condenser unit are standard on this model which also features a safety interlock, final cool down tumble and fluff filter. Completing the long list of features is the plumb to drain option which means this dryer offers you maximum flexibility. With B class energy efficiency and typical energy usage of 4.76kWh per cycle this model is ideal for the family home. Select features help make this White Knight large air-vented tumble dryer more than just a functional addition to your home. With a family friendly 7kg load capacity (cottons), 2 heat settings, up to 140 minutes drying time and reverse tumble action to minimise tangling and creasing, this free-standing dryer can handle the average family’s drying load with ease. 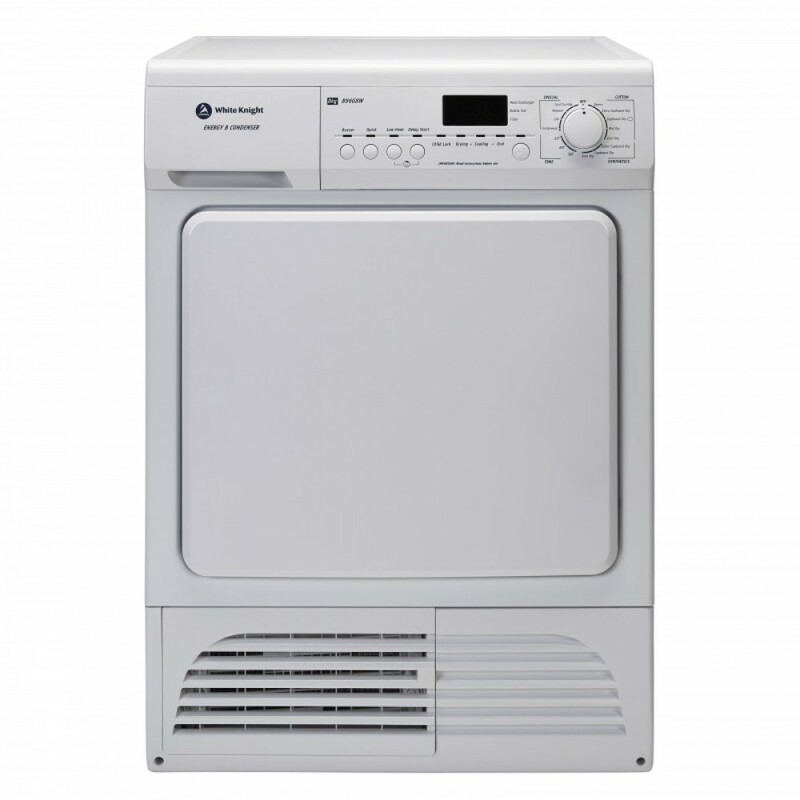 A built in flexible vent hose, final cool down tumble, reversible door, fluff filter and safety interlock complete the package on this versatile tumble dryer. With a low noise level of just 62dB, C class energy efficiency and typical energy usage of 4.48kWh per cycle this model is ideal for the family home. Cook with confidence with the SFO59MX eight function multifunction over with full programmable electronic timer and pop In pop out controls. Programmes 15 - Cotton 90, Eco 20, Quick Wash, Synthetic 60, Synthetic 40, Delicate 30, Synthetic Cold, Wool 30, Rinse, Spin, Drain. 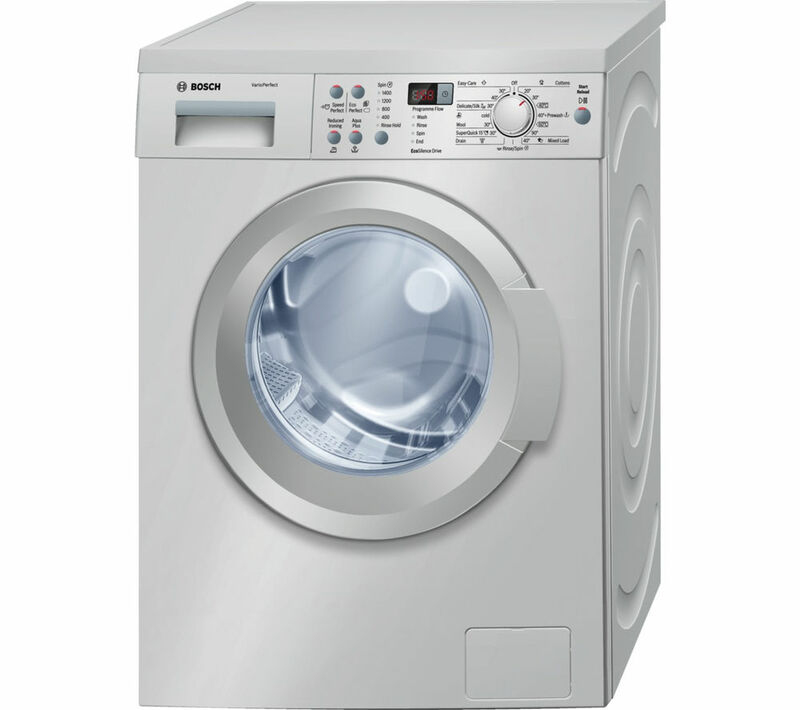 We deliver new washing machines, tumble dyers and other domestic appliances throughout Liverpool and Merseyside. We also repair machines locally: Aigburth, Allerton, Anfield, Belle Vale,Broadgreen, Canning, Childwall, Chinatown,Liverpool City Centre, Clubmoor, Croxteth, Dingle, Dovecot, Edge Hill,Everton,Fairfield,Fazakerley, Garston, Gateacre, Gillmoss, Grassendale, Hunt's Cross, Kensington, Kirkdale,Knotty Ash, Mossley Hill, Netherley, Norris Green, Old Swan, Orrell Park, St Michael's Hamlet, Sefton Park (district), Speke, Stoneycroft, Toxteth, Tuebrook, Vauxhall, Walton,Wavertree, West Derby, Woolton. 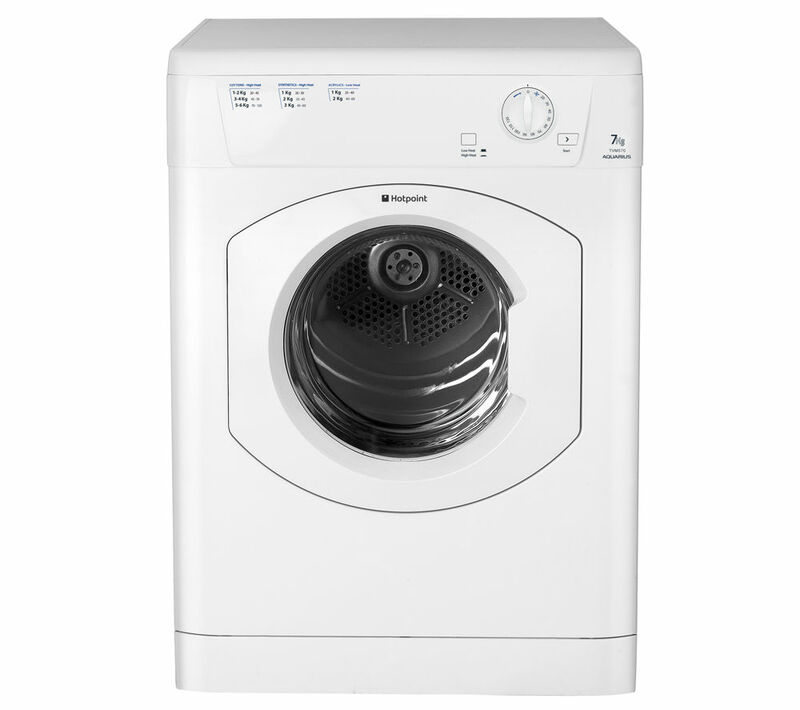 ◦ Hotpoint - The Greatest Washing Machine?